Can Democrats support war without getting shot down in a hail of flak by the media and progressives? That question has proven to be a thorny issue, but more evidence keeps accumulating to suggest that this is indeed the case. One example surfaced in the Monterey Peninsula area of California this month. Libertarians for Peace, a member of the Peace Coalition of Monterey County, introduced the Give It Back Resolution in September 2011. 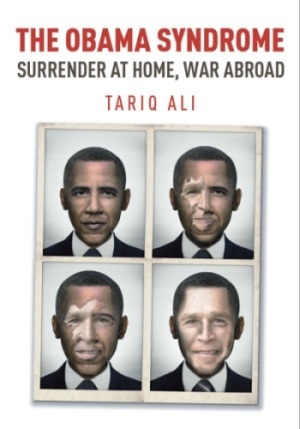 It called upon President Obama to return his Nobel Peace Prize because his foreign policies have “continued old wars and engaged in new ones.” It was a simple and clear one-sentence resolution, but few took it that way. In the last few years, the dirty secret behind the peace movement is the emergence of a double standard regarding which political party can conduct foreign wars of aggression. For a number of reasons, it appears that Democratic Presidents can go to war, escalate troop strength, engage in torture, rendition, illegal wiretapping or harassment of whistleblowers and so forth, but Republican Presidents can’t employ the same policies. The Give It Back Resolution brought this controversy to the forefront. Of course, nobody in the Peace Coalition would have opposed this resolution if President Bush had been the recipient of the Nobel Peace Prize. In fact, I would wager that almost everybody in the peace movement would have lined up to sign a petition demanding that Bush give back any peace award immediately. That is a given. But do most peace activists have an unbiased eye when becoming involved in party politics? Do they favor “principle over party” -- or do they play favorites and look the other way when Obama acts like Bush on steroids? I was almost afraid to ask that question. After spending years in the Peace Coalition, organizing dozens of peace rallies and “impeach Bush and Cheney” demonstrations, I was sure I would get a good deal of support for the resolution, even if it failed to gain the required 100 percent consensus. I had a feeling that most peace activists could see beyond party policies; that it did not matter which group of politicians were behaving like war-mongers. A number of them told me that principles did indeed trump party politics, and that they were not beholden to the Democratic Party. Something was wrong somewhere, because the participants failed to live up to their claims of nonalignment. The first roadblock erected against the resolution was a procedural maneuver. The chairman refused to put the resolution on the next meeting’s agenda. The excuse: all 20 member organizations that compose the Peace Coalition had to attend the meeting. This was a silly argument, since the coalition has frequently passed all sorts of endorsements for rallies, speeches and events with barely a quorum. This was a bogus requirement. Finally, this conflict was resolved through the diplomatic skills of David Henderson. The resolution was begrudgingly put on the agenda a day or so before the meeting. And the results: disappointing. Not a single peace organization attending the meeting gave a thumbs-up recommendation. There was no vote. The Veterans for Peace and Green Party immediately came out against it. The National Lawyers Guild said that they might agree to it if some minor wording changes were made. The local Quaker organization abstained. The other peace group leaders just sat silently and watched. The resolution never had a chance. In retrospect, I suppose I was testing the Peace Coalition to see if my suspicions were correct. I had heard a number of complaints that the Peace Coalition had a strong bias towards the Democratic Party. Since the election of President Obama, the coalition had only sponsored three peace rallies compared to a dozen or more during the Bush administration. Of the three antiwar rallies sponsored, two were spearheaded by Libertarians for Peace. I had to take charge of one because nobody else would volunteer. As this lack of activity became more apparent, some of the more libertarian peace activists began to wonder if the local Peace Coalition was actually putting “party before principles,” worried that if antiwar leaders protested too loudly against President Obama’s administration, he might lose reelection. After the failure of my resolution became apparent, the chairperson told me to contact each organization separately, and try to convince them of my resolution’s merit. I asked for a roll call vote so as to have an official record of who favored or opposed the resolution -- since a number of members had remained silent. That request was denied. I had a feeling that the chairman wanted no record of who opposed the resolution, since it might someday become an embarrassment. It was now apparent that many of the Peace Coalition members were willing to let President Obama get away with whatever pro-war policies he wanted to pursue. This prejudice is in essence saying that Democrats are exempted from normal antiwar criticism, and that wars of aggression by them are permissible. I wish this partisan favoritism were not true, but actions speak louder than words. The lack of support for this resolution has answered my questions. A large percentage of peace activists are indeed beholden to partisan politics. And this is a condemning indictment of those who proclaim to support the values of peace and non-violence. 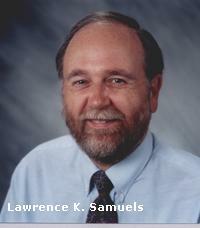 Lawrence K. Samuels is editor and contributing author to Facets of Liberty: A Libertarian Primer. Read his Investigator reports on how the Tea Party cooperated with Libertarian peaceniks -- then expelled them. 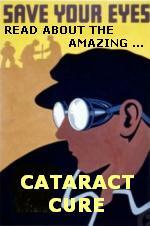 Also read about attempts by Monterey peaceniks to hold Obama accountable, and Samuels's attempts to fight city hall.